You can use AFerry to book ferries to Tenerife from Spain, Arrecife, Las Palmas, Santa Cruz de la Palma and Santa Cruz de Tenerife. Using AFerry you will always get a great deal on your ferry to Tenerife. See below for timetables and the latest special offers. Booking a ferry to or from Tenerife couldn't be easier with AFerry. You can either use the booking form at the top left of the page. Or, if you see a price you like on the left, just select the number of passengers and click go. Tenerife is the largest and the most happening island of the Canaries. The sun, the Mediterranean climate, lovely sandy beaches and of course the incredible volcanic landscape makes Tenerife a popular destination for holiday makers. You can simply sun bathe on the sandy beaches or explore the island. 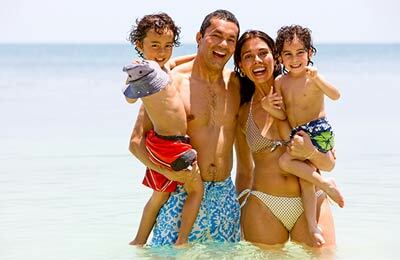 You are never short of things to do in those incredible surroundings with many local pubs, restaurants and discos; vibrant culture and architecture and various water sports. 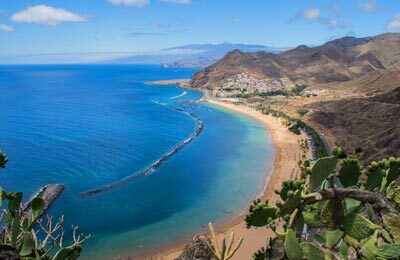 Tenerife is popular with tourists with resorts built around stunning beaches perfect for sunbathing. But if you want to get away from all that and experience real Canarian culture then a visit to the capital, Santa Cruz de Tenerife is highly recommended. In February the annual carnival takes place, which is second only to Rio in terms of classic fiesta spirit. Tenerife, a popular tourist destination in the Canary Islands, is a beautiful island popular with German and British tourists because of its year-round hot weather and great hospitality, although not just that; what many people do not know is that Tenerife is home to a 3550m volcano that is easy to get to by cable car and a beautiful natural phenomenon. The best way to get around Tenerife and experience the beauty of the Island's wilderness is to hire a car. Do be aware, however, that Tenerife is building many new roads and therefore GPS systems may not always have the latest routes accurately marked. Not necessarily the most popular place to visit on the island, the old town of La Laguna is a UNESCO World Heritage Site and to some, the most beautiful town in the Canary Islands. Just as beautiful is the world class botanical garden near Puerto de la Cruz and if you want to see more animals go to the Jungle Park or even the Loro Parque Zoo, which is also perfect if you are planning to travel with children. They are lots of theme parks around Tenerife, some of which are water parks that are great for cooling off on a scorching day but whilst having lots of fun too! There's also places to just sunbathe or relax if you so wish. Just as beautiful is the world class botanical garden near Puerto de la Cruz and if you want to see more animals go to the Jungle Park or even the Loro Parque Zoo. The scuba diving here is said to be some of the best in Europe and like many other Spanish islands, water sports are very popular here and a must-do for everyone whatever age or ability. You can discover the markets in the city of Santa Cruz de Tenerife that will give you a real insight into life on Tenerife as well as modern city inputs such as museums, zoos, parks, shops, restaurants, cafes and art galleries. 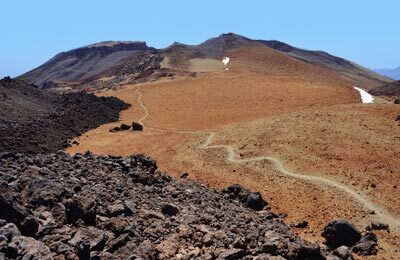 Of course, the main attraction to Tenerife is not just the beaches but El Teide, Tenerife's very own volcano. Whatever the weather is on ground level, it is certain that at the top of the volcano it will be very cold. One of the best things about this is that Tenerife is one of the only places in the world where you can play in the snow one minute then the next be down on the beach sunbathing! There's so much to do in Tenerife and it will fun for all the family, whether you're 8 years old or 80. One of the best things about this is that Tenerife is one of the only places in the world where you can play in the snow one minute then the next be down on the beach sunbathing!